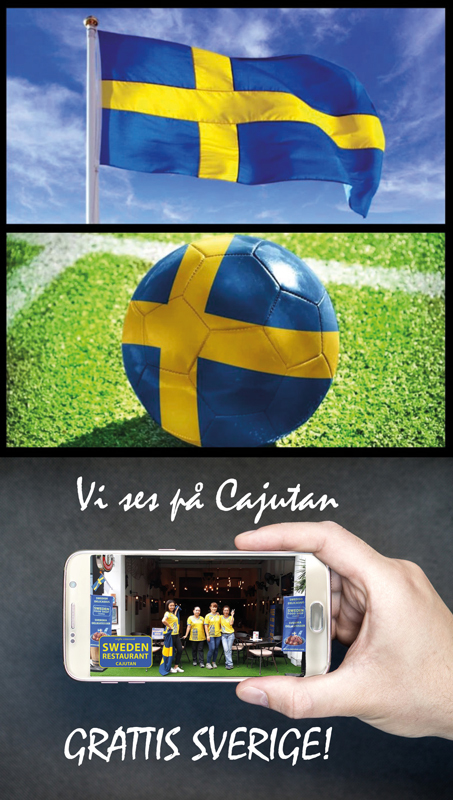 Tuesday 3 July 9 pm, we want to see Sweden win the match against Switzerland! 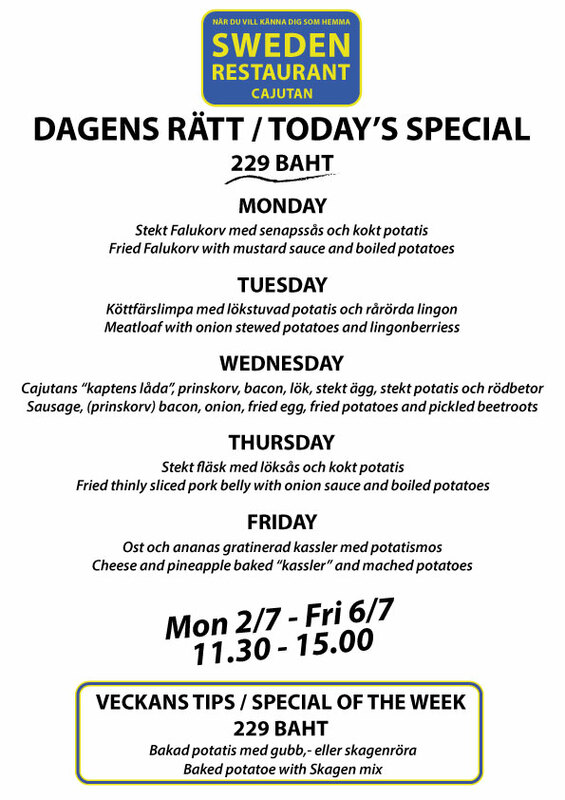 Monday 2nd to Friday 6th July. 11.30 am – 3 pm. 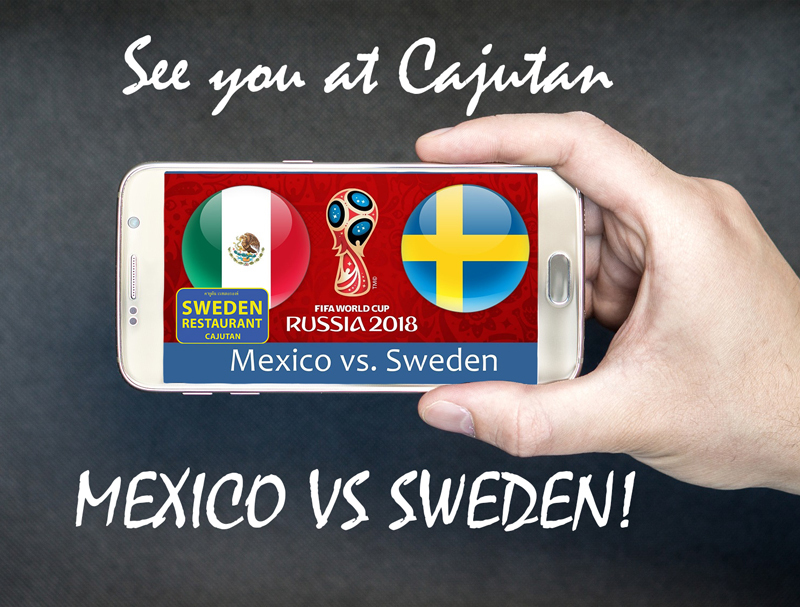 See the match of the week on Cajutan! 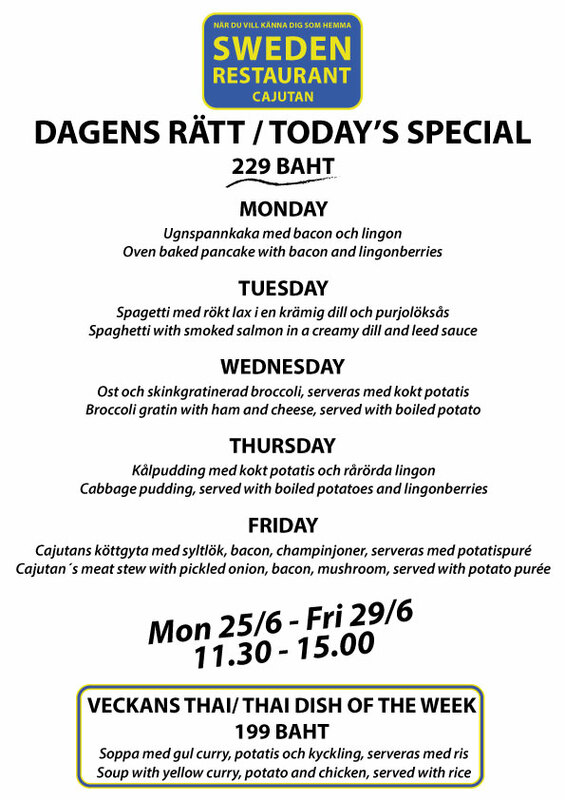 Monday 25th to Friday 29th June. 11.30 am – 3 pm. Tomorrow, Midsummer Eve at. 10 pm. Nigeria VS Iceland. 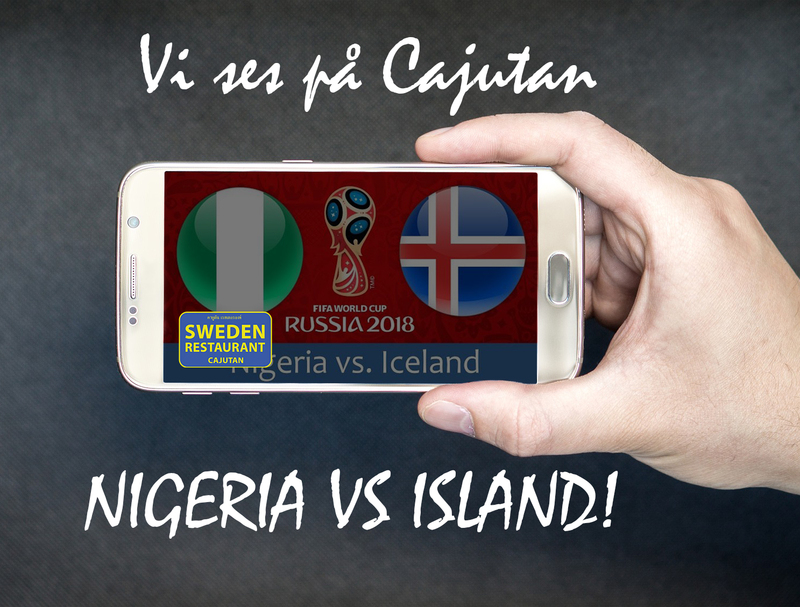 Come to Cajutan and help Iceland to win! Today at 7 pm. Denmark VS Australia. 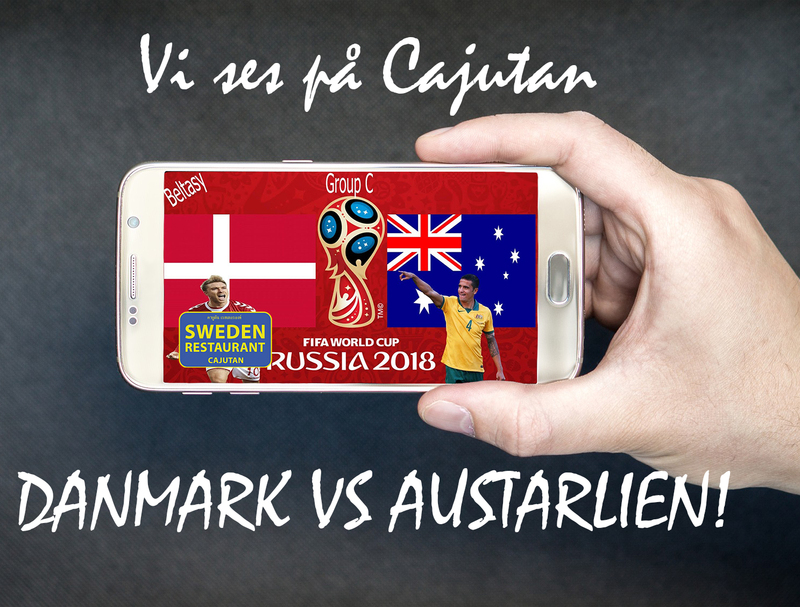 Come to Cajutan and help Denmark win! 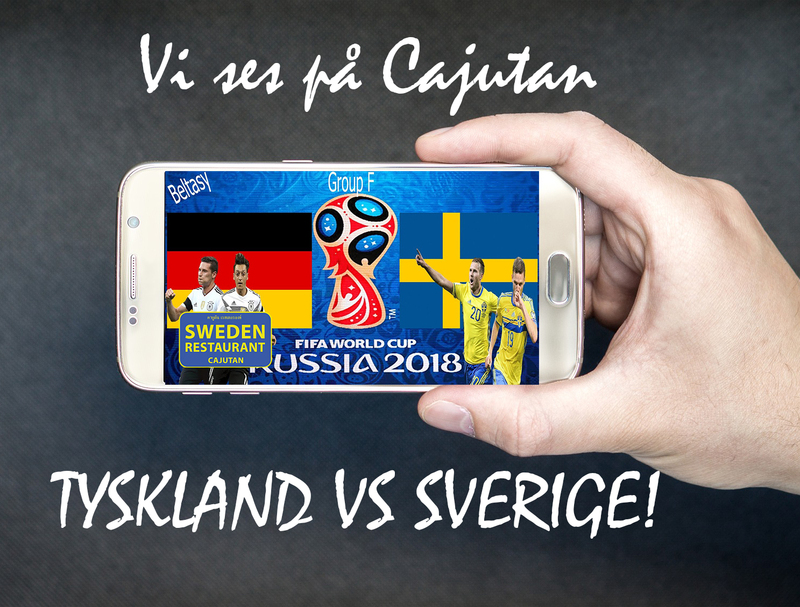 See the big game, Germany vs Sweden on Cajutan! 01.00 am. Sunday, June 24th. 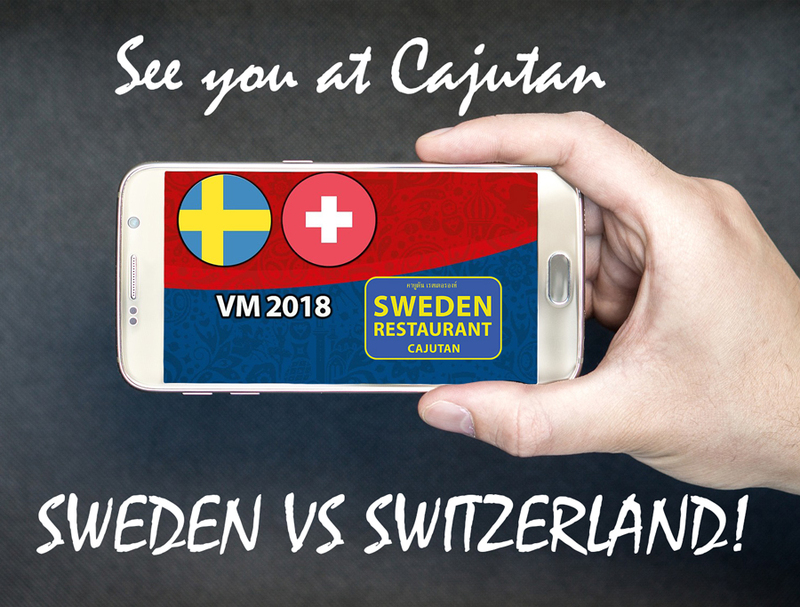 Cajutan is only open for football so it is important that you book a table. We close the doors to the public at 11.55 pm. Please come before the doors are closed. 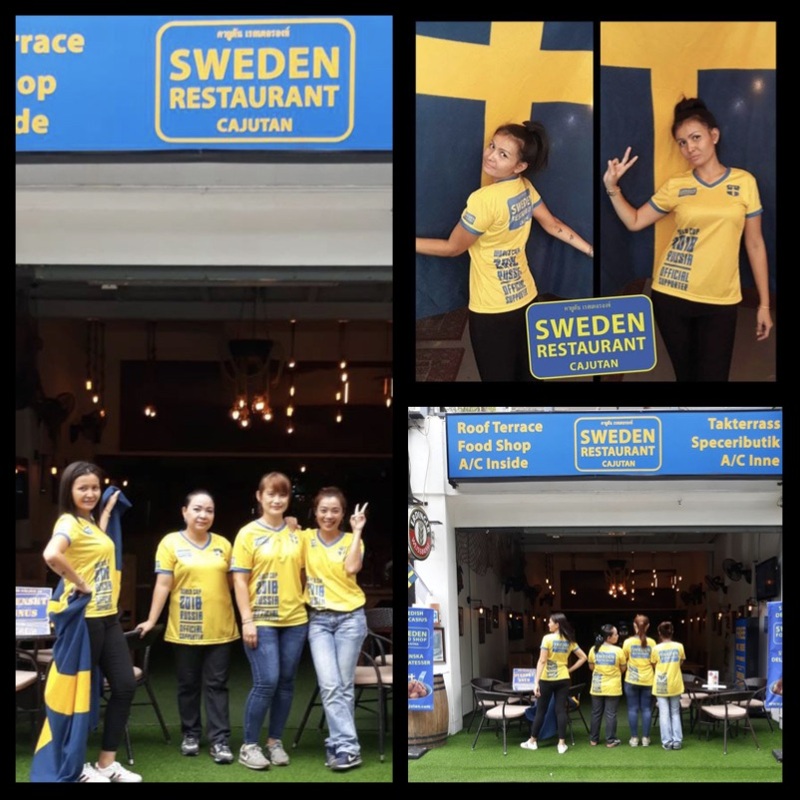 Germany or Sweden, that’s the question? 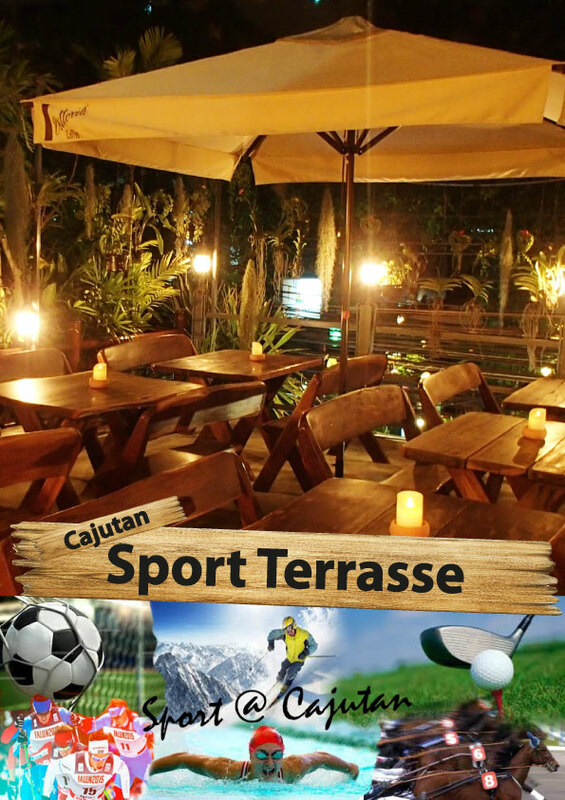 This week sport at Cajutan!